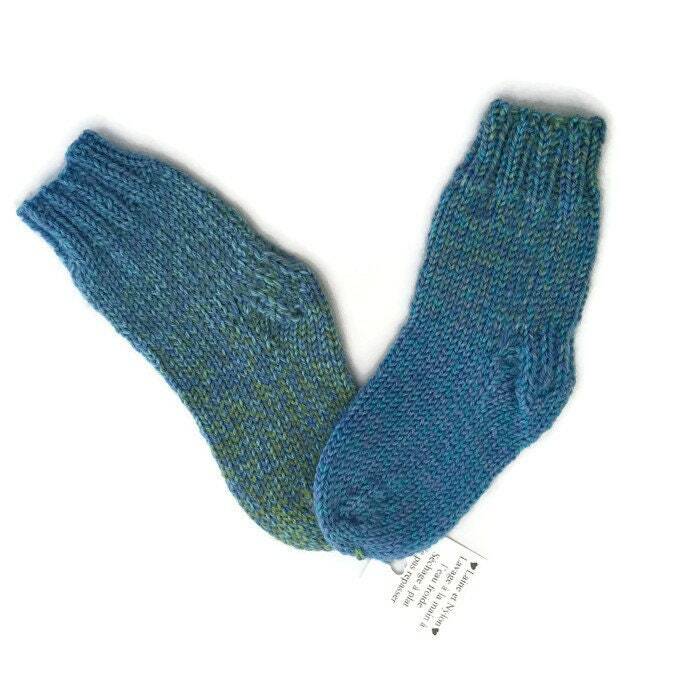 Pretty baby socks very lightweight, made in wool Merino, nylon. Perfect to put in the little boots for fall and winter! These stockings are made entirely by hand and fit a size 6-12 months. They are soft and warm.